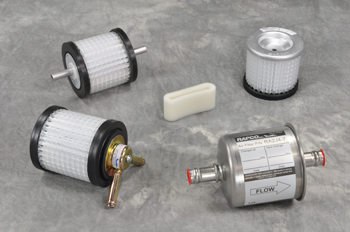 RAPCO produces both pneumatic and fluid filters. Pneumatic replacement filters are FAA –PMA approved and fit Airborne, Mitchell and RAPCO assemblies. Fluid filters are standard AN replacement elements used in many fluid applications. PT6 100 Hour Kit include filter. RAPCO filters offer quality at a reasonable price.